Bodies of Work is a network of artists and organizations whose art showcases and celebrates the disability experience. From the local to the international, our bodies of work explore innovative forms of artistic expression, derived from unique bodies and minds. We explore the disability experience, advance the rights of disabled people, and widen society’s understanding of what it means to be human. We are a consortium of more than 50 of Chicago’s most recognized cultural, academic, healthcare and social service organizations, and are housed in UIC’s Department of Disability and Human Development. As disabled people, we are reminded every day that our minds and bodies move in opposition to the expectations of our home cultures. No wonder we feel pressured to drop our differences at the door. But relinquishing our differences fragments our sense of self and crushes our spirit. It’s never good for one’s creative drive to exist in partial form. Disability culture supports our right to resist fragmentation and to reclaim lost parts. Whether disabled artists openly address disability as a theme in their art or not, having access to their wholeness radiates energy into the world of art. Bodies of Work, a network of artists and organizations, is a catalyst for disability arts and culture that illuminate the disability experience in new and unexpected ways. Beyond the creation of disability arts and culture festivals, we provide a forum for ongoing programs that honor and explore the accomplishments of local, national and international artists. We also offer information to cultural venues about providing access and accommodations for both artists and audiences with disabilities. In 2015, 3Arts launched a customized in-town residency fellowship in partnership with Bodies of Work. The fellowship supports the creation of new work in residencies that increase the conversation around disability culture on and off campus. In addition to determining their own artistic goals, fellows may teach master classes, take part in critiques, work with students and faculty, conduct research and access UIC’s tremendous resources. This project is supported in part by an award from the National Endowment for the Arts to 3Arts. The disability art and culture movement is in the exciting process of self-definition with the recent explosion of works across media. These works communicate the experiences of lives lived with disabilities. In the process, they expand what it means to be human. Disability culture values physical, sensory and mental differences and our artists create work from that difference. 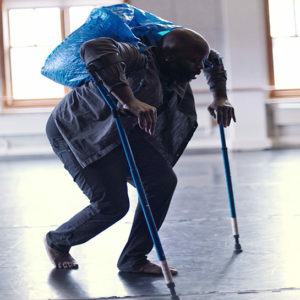 It’s rooted in an appreciation for disabled people’s inventiveness and creativity in traversing obstacles. Artists with disabilities provide alternative perspectives through their work. They express their individual and collective grace, diversifying the body’s expressive tradition. The Program on Disability Art, Culture, and Humanities (PDACH) in DHD serves as the administrative home for Bodies of Work at UIC. PDACH is a creative research lab whose members study, support and create the art and culture that explores the disability experience around the world. Contact Carrie Sandahl for more information about PDACH.